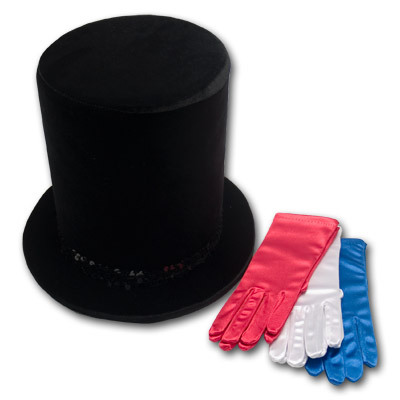 Insert a gloved hand into the top hat and seconds later it's another color, switch hands and the same thing happens. This trick is performed by David in their costume change act. Comes complete with 3 pairs of gloves, hat, and instructions.